When Drew and I were married five years ago, I was not too concerned about saving money at the grocery store. I had a full time job that paid well. But when our daughter was born I cut down my hours and worked PRN, money became tight, so tight that at one point, we only had $5 in our bank account. We had expenses that needed to be paid. On Wednesday nights, Charis and I attended prayer meeting. I was thrilled to discover that there was an ALDI on the way home from prayer meeting, so I started doing our weekly grocery shopping there. 6 months ago, an ALDI opened up less than 2 miles away from our apartment. ALDI is one of my favorite grocery stores; we do the bulk of our grocery shopping there. 1. Cost of food at ALDI is cheaper than other grocery stores. Last winter before our local ALDI opened its doors, one week I had to shop at our local Shoppers. Even though I bought less at Shoppers than what I would buy at ALDI, I spent at least more than $30 there than I would have spent at ALDI. We are on a tight budget. We live in the DC Metro area; my husband makes about $40,000/year, but we have my husband's tuition every semester, our out of pocket health insurance, about $5000 that we need to pay to the hospital for the priviledge of delivering my son there, plus other expenses. 2. Seasonal buys. They always have necessities, but I enjoy their seasonal buys. For the last few weeks, they have had Jaffa cakes, which is one of my favorite biscuits that I always bring home from Northern Ireland. Another current special buy is canned pumpkin, so this is the time of year I stock up on canned pumpkin. 3. Quality. Even though almost everything at ALDI is off brand, I find the quality is the same as the brand name item. 4. SimplyNature products. As of 2013, this is a new product line at ALDI. I like this brand because the ingredient list is simple; I have actually heard of the items listed in the ingredients. ALDI has NO idea who I am. I am just a loyal customer that shops there every week. I used to live in a town that just got an Aldi. We moved soon after and now we don't have one here. I have heard nothing but awesome things about them. I've just recently started going to Aldi for the bulk of my shopping - LOVE it! It's a great feeling to look at the receipt and see that I've saved $30-$50 (or more) from what I would have spent elsewhere! Next up - I want to try one of those Aldi weekly meal plans I've seen in order to save even more! I agree with all of this! 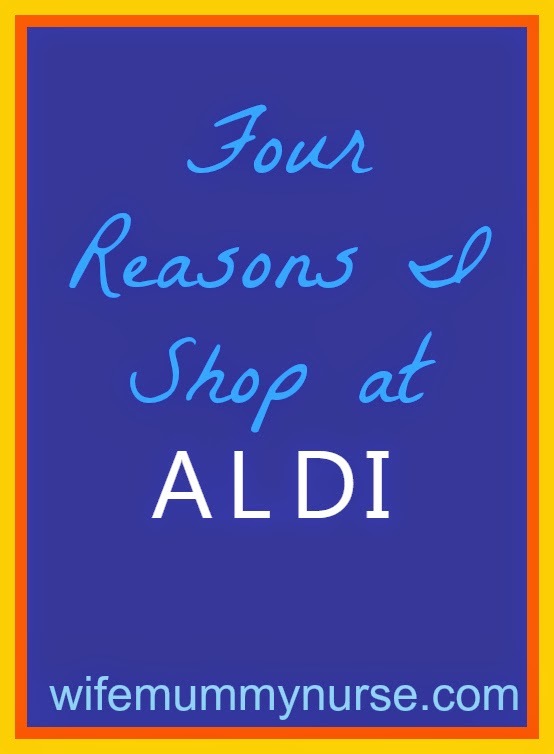 I loved Aldi and shopped there all the time where I used to live! Then we moved and they don't have Aldi here! Such a bummer! Great tips though! We have an Aldi around the corner from my house - I should at least walk in there to see what I see. We pop into Aldi every once in a while to pick up a few things. Ours isn't easy to get to, otherwise we would visit it more often! One aldi store is coming up near my home. Other one was little far. So we shop only occasionally. Yes they are cheaper. Thanks for sharing this with Hearth and soul blog hop. We haven't gotten an Aldi's here. It sounds like a great place to shop once they get a bit closer to me!